I would, for the most part, kind of call myself a gamer. That being said, I prefer an arcade over PS, XBox and the like. Sure, I had Pong and Atari growing up, but I spent summers at Western Trails in Oak Lawn, playing 8 Ball Deluxe, Gorf, Track & Field....you name it. 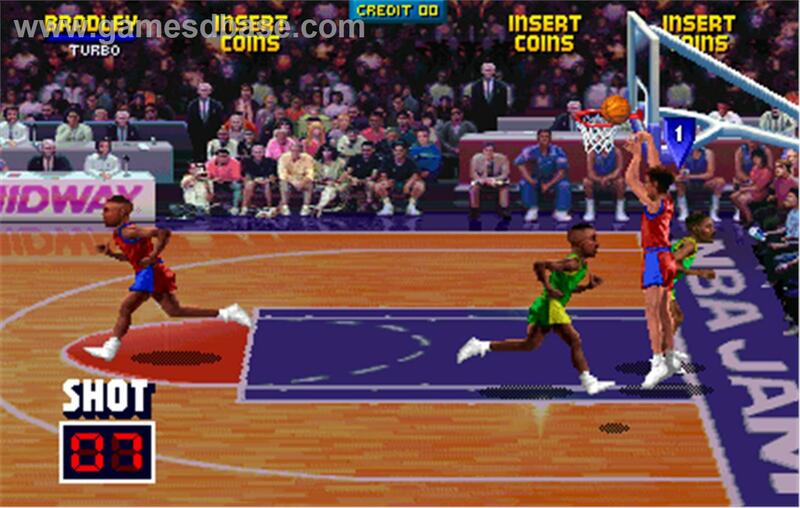 Between NFL Blitz and NBA Jam, I'm sure I pumped far more quarters into Blitz, but NBA Jam was so much more fun. Pushing, flagrant fouls, goal tending - I am not sure if anything is more enjoyable. For those who forgot, or never played, after 3 buckets in a row, a player is "on fire" and has some super human abilities until the other team scores. The game was over the top fun, and as much as there are other games out there now I would play (I did play COD:World War when my son was home with his PS3), the good ol' days plunking quarters/tokens into a stand up machine was great living. That's 162 if you convert it from binary to decimal. Being my blog, I get to play favorites. And since baseball is 31 days away, I am talking about my Blackhawks, who have decided enough is enough and took over the Western Conference lead from Dallas. 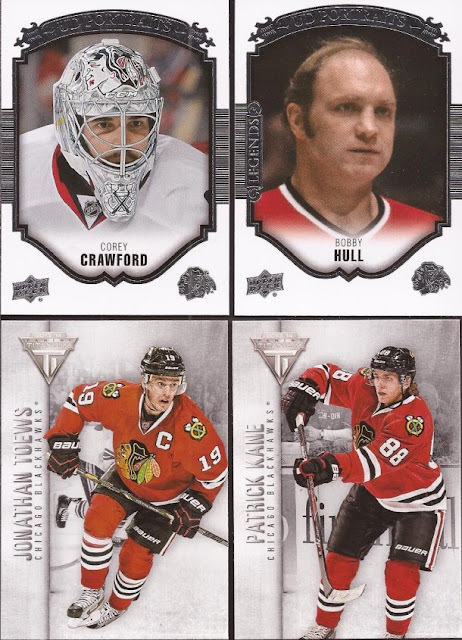 Many of the recent mailings here at 2x3 Headquarters contained Hawks cards of one or another that added much needed cardboard in the Hawks box (doesn't have the same ring :( ). Ok - not Hawks. Thought technically, Bolland was, and did score a pretty famous goal for Chicago. These cards came from Jeremy, who I believe does not run a blog but has an Instagram account named semi_pro_set. Jeremy singed up for some free hockey cards last year (let's do that again - soon) and was kind enough to email me and send me cards to help with my 2015-16 UD build, bringing me to needing just 2 cards. Jeremy, being the stand up guy that fits right in with all the other generous people that have dropped cards to me, added in a few more additions. O-Pee-Chee!!!! This is one of the best parts of sending cards back and forth with hosers. Older OPC are difficult, to near impossible, to find around here. 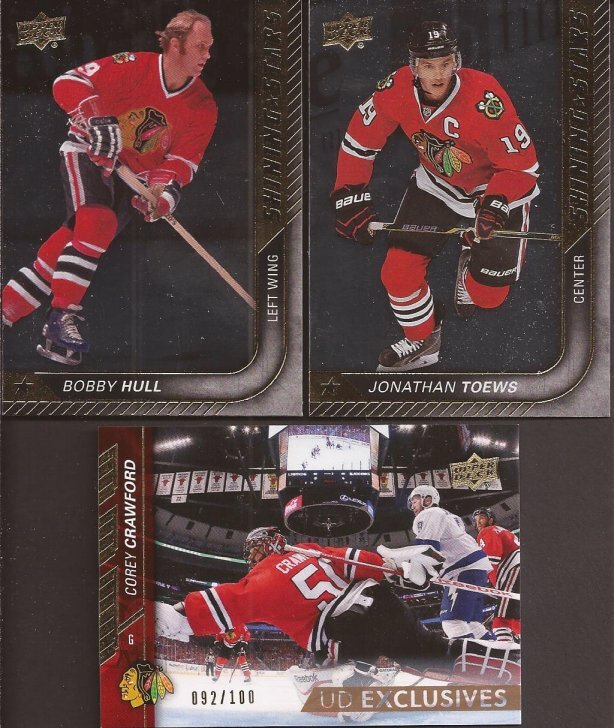 In fact, besides a couple lucky finds in some repacks, I can't think of a single OPC Blackhawks card I have found at a card shop or show that is pre 1990. Thankfully Jeremy said he would keep an eye out for more. Much appreciated. Dave, from Wax Stain Rookie, also dropped a nice PWE on me filled with Indian head sweaters. Three Cup winners here. Stosh bringing one home in '61, Steeg getting his name twice on the Cup (spelled correctly once) in '10 & '13, and Hoss in '10, '13 & '15. If I recall, Titanium was a Canada only release in 2014. My LCS got a couple boxes, but only after buying off the second market, so I never ripped any. For all of Panini's missteps, Titanium is not that bad a set. Top row are a couple UD Portraits from this year's release. I believe they fall 4 to a box, so I don't have many. Both we gladly accepted. More UD inserts. Shining Stars are foil, and as usual, my scanner hates them. 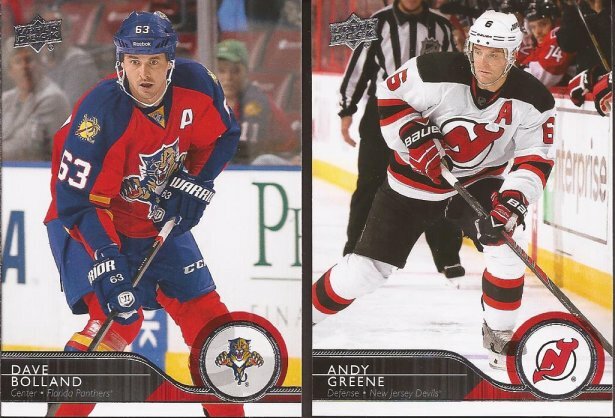 But my scanner LOVES Upper Deck Exclusives. Hard pulls, as I have only ever pulled one in my life. Yeah - and not even from a box. The only one I ever found was in a rack pack. Crow got a killer image in Upper Deck this year. Thanks for all the cards, Dave. Last up is my monthly (it seems) mailing from DJ of Sportscards From The Dollar Store. With all the fantastic repacks he finds up north, I seem to get his Hawks cast offs. No complaining when cast offs look like a Fleer Retro Hull, a Masterpieces Kane and a Pinnacle Hossa. I really need to find a recent box or two of Pinnacle to rip. 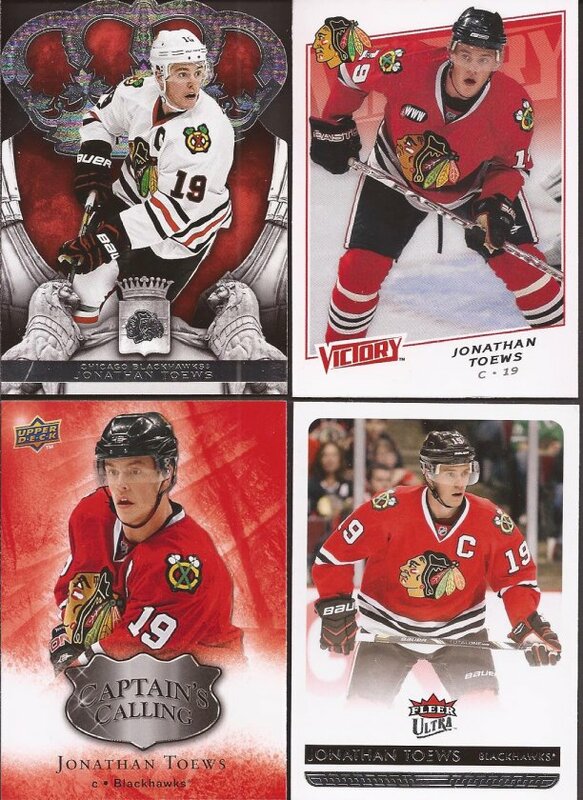 If I ever start my Toews PC, I'll put it in the same binder as my Sale PC, which as you recall does not exist! Also, does Crown Royal not look like something Pacific would have put out? 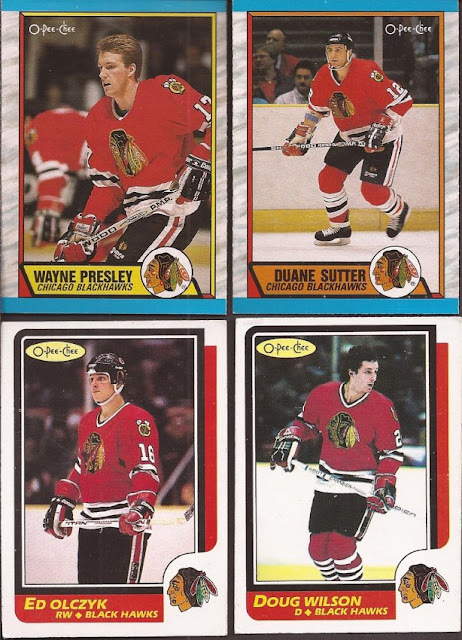 One day, I will put together a throwback binder of hockey cards. Loved all the 75th Anniversary sweaters worn around the league in 1991. 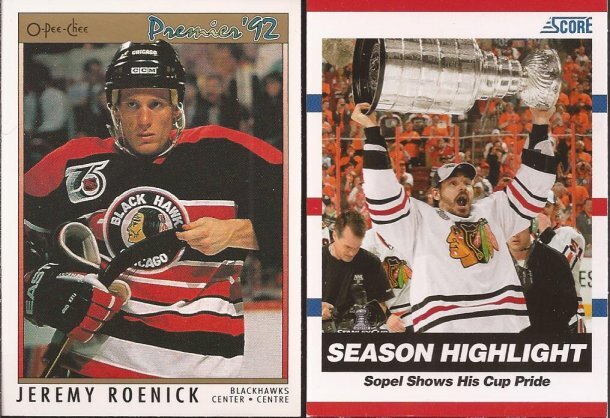 The best part of the Sopel card is seeing some fans in the background applauding the Cup. Philly gets a bad rap - deserved, unfortunately. But win or lose, give the winners their due. I remember watching the Cup presentation in 2010 and there were plenty of boos. So good to see plenty of good sports in the stands as well. DJ - I look forward to our next mailing. Ok - Hawks go for win 11 in 5 minutes. Is it the skates? My pleasure! Glad to see you didn't have many of them. Keep up the good work Jeff. It's a great blog. Nice cards see ya Thursday punk! I had NBA Jam for the Sega Genesis back in the day and NFL Blitz for the original NES. Man, I really miss being a kid.